For such a small product it's quite incredible how complex the system is inside your promotional USB flash drives. 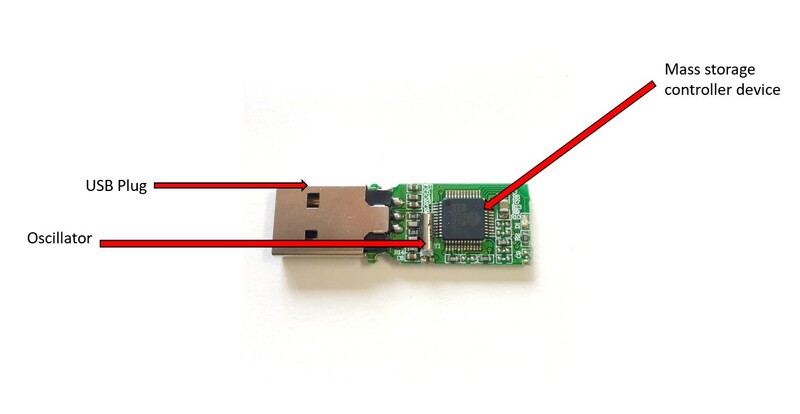 We've taken apart one of our quality USB drives with a Hynix internal chip to show you the key elements of your device and give you a basic rundown of what each of them does. Mass Storage Controller Device - The brain of your storage device. Retrieves data and records it to the memory chip. NAND Flash Memory Chip - The actual storage portion of the drive, where your files are kept. Oscillator (or Crystal Oscillator) - A quartz crystal that uses a clock signal to control the device's output. 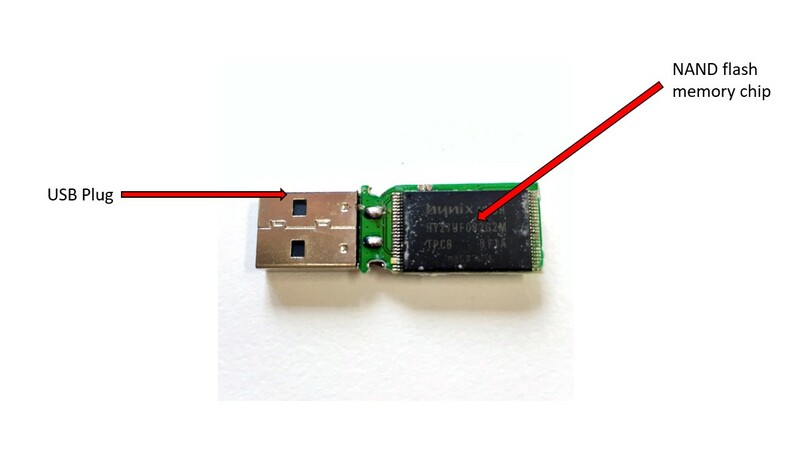 USB Plug - The connector between your memory chip on the drive and the computer you've plugged the unit into. USB Case - The outer body of your device, keeps the internal chips and board shown above safe from the elements. LEDs - Some, but not all, branded flash drives include an LED light that will flash to indicate the device is actively connected to a computer. End Cap - Depending on your style of USB case, the USB Plug may come with a plastic end cap to keep it free of dirt particles. Write Protect Switches - An optional safeguard that can be switched on to protect your data's integrity if the device is plugged into a dodgy computer. When ordering your promotional USB flash drives from USB Planet, you can be confident that our internal memory components are made from high-quality materials and not recycled from repurposed devices. All our NAND Flash Memory Chips are A-Grade and produced by well-known factories such as Toshiba, Hynix (seen above), and Sandisk so you can be sure that your bulk USB Planet drives will stand up to the competition. While there are cheaper options available online, here at USB Planet, we sell USB flash memory drives that meet quality and safety standards so that you can confidently utilise your bulk branded USBs as part of business management plans, marketing campaigns, or promotional giveaways. Contact our professional sales team now to find out more about the internal workings of the USBs from USB Planet, or simply to inquire about available styles.